define( 'WPCACHEHOME', '/home/masala123/www.123masala.com/archives/wp-content/plugins/wp-super-cache/' ); //Added by WP-Cache Manager Abhishek in Drona, the wallpaper Look ! 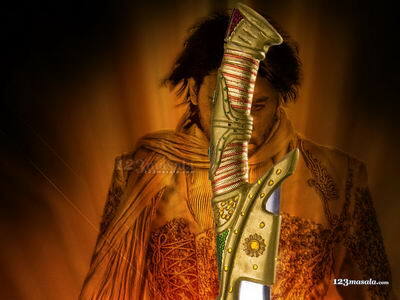 Abhishek in Drona, the wallpaper Look ! From the times, when time itself was a newborn babe, the universe has kept one secret carefully camouflaged within its folds. A secret, which if unraveled, could unlock the destruction of mankind and the entire cosmos. Today, only one man can protect the universe’s precious secret and thus, save the human race from absolute annihilation. Who is that man? Well, its Abhishek Bachchan in the movie ‘Drona’. He gets into zarra hatke action avatar. His dressing reminds of old era of Mughals and sword fighting. Put this action hero on your desktop. Here is exclusive Drona Wallpaper.